Why is a Physician’s Health Program necessary? We expect a lot from our doctors – they are under constant pressure to perform and when caring for patients, there is no room for error. However, they are people, too. Like us, they can get stressed and burned out; they can suffer from mental or emotional illnesses, or fall victim to addictions or self-destructive behavior. When they do, like us, it can affect their careers and their families. But they are unique in that their illnesses and behaviors can impact the safety of others. The AMF was created to help them get better even as it works to protect and safeguard patients. 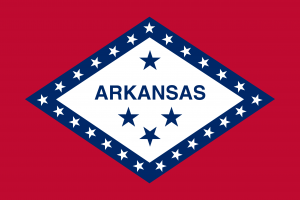 Arkansas' regulatory and healthcare entities know the special needs physicians have and support the AMF as it steps in to assist physicians and other healthcare professionals in treatment, return to practice, and ongoing recovery. What problems does the AMF address? Who is the AMF able to assist? How do I know when a provider needs help? If a provider you know is unable to perform their professional duties in a reasonable, safe manner consistent with professional standards, they could endanger patients. Warning signs can include increased absenteeism, subtle changes in behavior or appearance that may increase in severity over time; deteriorating job performance and progress notes; mood swings and personality changes; overreaction to situations that is out of character from the past. Can I report someone anonymously? Yes. Anyone can contact the AMF with concern about a healthcare professional at 501-224-9911. We will take your information for our own purposes but if requested, we will honor your need for anonymity. The process usually starts with a phone call, during which a doctor or other healthcare provider with one of the above issues is identified. Once the problem is identified, the AMF conducts an interview with them, and if needed, sends them to a licensed expert for evaluation of their problem. If treatment is recommended, the AMF supports them during that time and following treatment, and helps them with re-entry into their practice. During a contract period, which ranges according to the individual need, the AMF helps with monitoring and accountability of their post-treatment care regimen, which can include therapy, support groups, random urine drug testing, and on-the-job monitoring. The AMF also offers support with any licensing, insurance or disciplinary issues during that time. At the end of the agreed contract period, the physician or provider is released from AMF's oversight but the program remains available to assist with any further recovery issues. How is the AMF funded? The AMF is a 501(c)3 organization. A good portion of the program’s support comes licensing fees, Arkansas Mutual Insurance Company, participant monitoring fees, and private donations. Other funding is provided through gifts from hospital systems and medical groups, monitoring fees for some participants, donations from individual physicians, and individual donations by the general public. Your support is invaluable to us – please join with us in continuing to provide a lifeline for Arkansas physicians! Monday-Thursday: 8 a.m. – 4:30 p.m.